Today we live in a time when the values ​​of yesteryears have almost disappeared. No more respect for the elders! For example, in the past, teachers were invaluable to their students (the latter had great respect for them), but nowadays this value is lost. Parents are unable to control their children despite religious preaching, the work of NGOs, and the advice of psychologists. Despite all efforts, the situation is not improving. We live in a changing society. With globalization, we are carried away by the current of modernization that takes us away from our values ​​of yesteryears. The new generation is just following the evolution of society. In the past, schools, Madrasas, as well as parents played their role perfectly to maintain a balance between moral values ​​and the detrimental effects of modernization. But nowadays, parents have lost their authority over their children. Most children do not obey their parents anymore. Why are our young people devoid of moral values? Could this be due to a loophole in our education system? Are we robotizing our young people through high technology? Politeness and courtesy are almost non-existent among young people. Where are the greetings of yesteryears that flowed from the bottom of our hearts, full of love and friendship? So who is to blame? We should not play the blame game because all parties are to blame. The parents, the central core of the family have lost their connection with their children. Today, everything is allowed for children. There are no restrictions. Both father and mother are working and the children are left to their own devices without guidance and a good discipline. Now, in a highly technological world, the old-fashioned logic of family unity has given way to a global connection of people of all kinds. Although technology brings some benefits, but unfortunately we are dealing nowadays with its multiple disadvantages as well, those that ruin the physical, moral and spiritual health of children. Jamaat Ul Sahih Al Islam- South Kerala (India) organized its Eighth Jalsa Salana at the historic Noor’ul Islam Masjid at Mathra on Sunday, 09th December 2018. Beyond the regular members of the Jamaat in Kerala, the present Jalsa Salana was notable for a couple of important reasons. 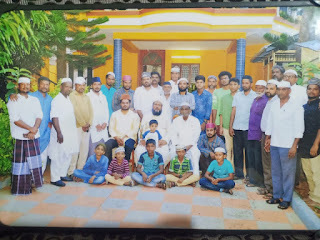 For one, the august presence of of Imam-Jamaat Ul Sahih Al Islam International Hazrat Khalifatullah Munir Ahmad Azim Saheb (atba) of Mauritius along with the respected and honoured members of his family. 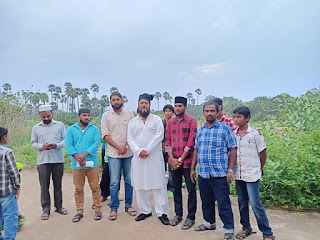 Secondly, a large delegation of our dear brothers and sisters from Tamil Nadu under the leadership of Mukarram Amir Siraj Saheb and Mukarram Naib Amir Saleem Saheb came to participate and as such, this Jalsa Salana was special and memorable, Alhamdulillah, Soumma Alhamdulillah. 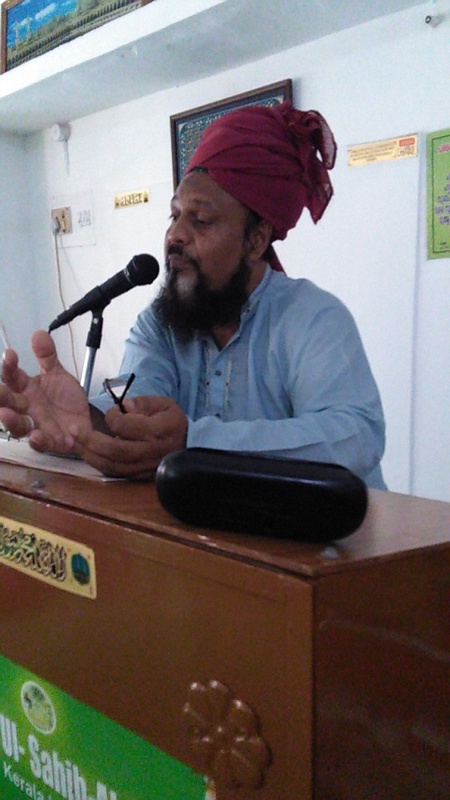 In the opening session of the Jalsa Salana, Mukarram Amir Jamaluddin Raother Saheb presided over the proceedings. YK Hariz Saheb recited the Holy Qur’an, Muhammad Sabir Saheb of Palakkad recited a Nazm. In his Opening Speech, Hazrat Khalifatullah (atba) spoke about the aims and objectives of an annual congregation like the ‘Jalsa Salana’. 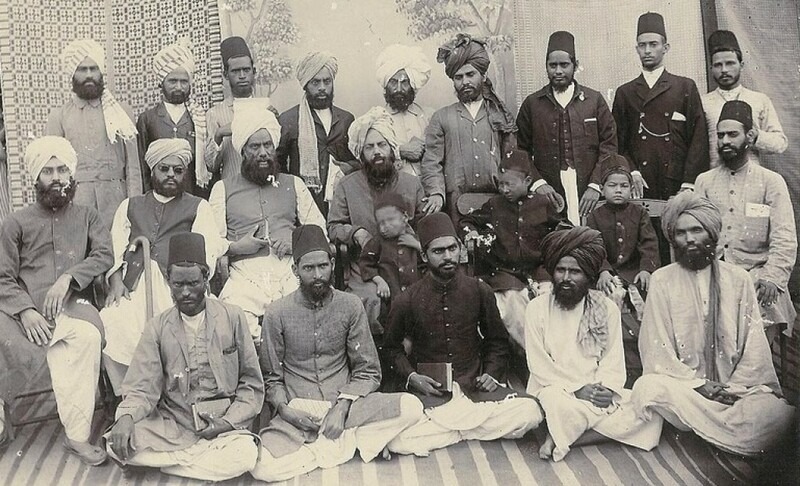 Drawing copiously from the explanations given in the previous century by the Promised Messiah Hadhrat Mirza Ghulam Ahmad (as) of Qadian in his writings, Hazrat Saheb (atba) endorsed the noble practice initiated by the Promised Massih (as) and underscored the purpose of Jalsa Salana as an occasion for brotherhood, mutual understanding and shared learning. “This gathering will be devoted to the exposition of such truths and spiritual insight as are necessary for the promotion of faith and certainty and spiritual understanding, and there will be special prayers and attention for the participants. And to the best of our ability we shall endeavour to supplicate at the threshold (doorstep) of the Most Merciful that He may draw them towards Him, may accept them and may bring about a pious change in them. An additional benefit of these gatherings will be that each year new entrants to the Jamaat shall, by being present on the fixed dates, get to know their brethren who had joined earlier. And these meetings will lead to progressive strengthening of the bond of mutual love and affection. Prayers for absolution will be offered for brothers who will have passed away in the interim, and supplications shall be made at the threshold (doorstep) of the Glorious God that He may unite all these brothers in spirit and banish all estrangement, dryness and differences from amongst them. In his Friday Sermon of 07 December 2018 (28 Rabi’ul Awwal 1440 AH) delivered at the historic Noor'ul Islam Masjid, Mathra (Kerala–India); Imam- Jamaat Ul Sahih Al Islam Hadhrat Muhyi-ud-Din Al Khalifatullah Munir Ahmad Azim Saheb (atba) of Mauritius made profound reflections on the recognition of Divine messages by the believers and the challenge of holding fast to the rope of Faith against the backdrop of the tricks of Satan which seeks to deviate man from his path of obedience to God and His commandments. Allah (swt) guides hearts that desire guidance to His signs leading to an appreciation of the ultimate Truth. Yet, after the acquisition of Faith; preserving the acquired faith and striving in the path of God with sincerity and steadfastness at all phases of one's fortunes and life chances can be a formidable challenge. As it happened, people stumble and may even lose their precious spiritual convictions when things go against their material whims and mundane desires. So every believer need to be critically aware of his own subjectivity and the trappings of Satan in order to subdue the dictates of one's own 'self'/ego and be ready to appreciate the big picture of Islam, i.e., the willingness to abide by the Holy Will of Allah (swt) as evident from the commandments of the Qur'an and Prophetic traditions and subjecting one's own choices and decisions to the prudent advices of the Khalifatullah of the era who speaks with the help of Roohul Qudus. Reflecting on the 15 years of the present Divine Manifestation- with Allah (swt) raising His humble servant Hadhrat Munir Ahmad Azim Saheb (atba) of Mauritius to make the Divinely-inspired Declaration of 06-07 December 2003 as the Muhyi-ud-Din and Messiah of this era; Hadhrat Saheb (atba) points out the extraordinary Divine favour that has been bestowed currently upon the brothers in Kerala and Tamil Nadu, and elsewhere in the country and beyond, with Allah (swt) raising them as the helpers of the Divine Manifestation in this era, overlooking the claims of an earlier people who did not preserve their beliefs and this episode itself holds a vital lesson for all believers everywhere at all times: of the critical importance of being spiritually aware and thereby preserving their faith against the machinations of Satanic impulses corrupting it. And hold fast, all together, to the rope of Allah and be not become divided (i.e. be united or do not go separate ways); and remember the favour of Allah upon you when you were enemies and He united your hearts so that by His bounty you became brothers; and you were on the brink of a pit of fire and He saved you from it; thus does Allah make clear His revelations (or verses) that you may be (rightly) guided. (Al-Imran, 3: 104). By the immense grace of Allah, with the institution of the Jamaat Ahmadiyya Al Mouslemeen and then the Jamaat Ul Sahih Al Islam since the beginning of the Divine Manifestation in the year 2001, Allah has shown clearly His might and the power of His promises when He guided the hearts of many people towards the truthfulness of His signs, power, manifestations and Khalifatullah (i.e. Caliph of Allah). 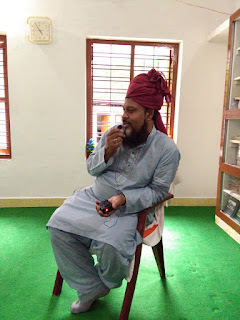 By the grace of Allah, lots of you here in India; in Kerala, and Tamil Nadu have been guided to the truth and many of you have received clear signs from Allah about the truthfulness of His Khalifatullah and the Divine Manifestation of this era. Masha-Allah. 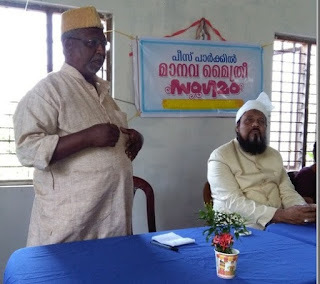 On December 4, 2018 the Peace Park Library- the cultural wing of the Jamaat Ul Sahih Al Islam in South Kerala- at Mathra organized a social outreach programme in solidarity with the victims of the recent, devastating floods in Kerala- the worst ever in its modern history, and also to recognize and honour the humanitarian and charitable works being undertaken by Mrs. Jameela Rajagopalan, an ageing social worker in the village. 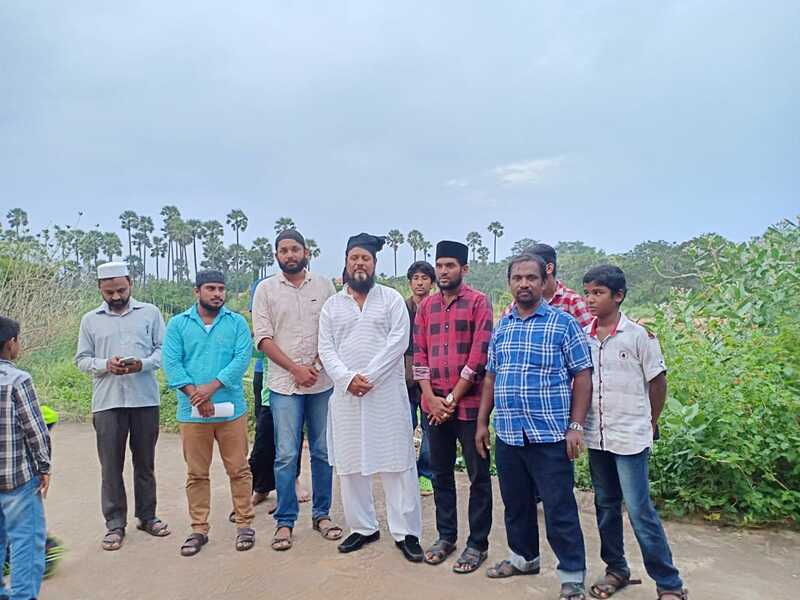 On the occasion, pecuniary contributions made by members of the South Jamaat to the Kerala Chief Minister's Disaster Relief Fund was handed over to a senior official of the government. 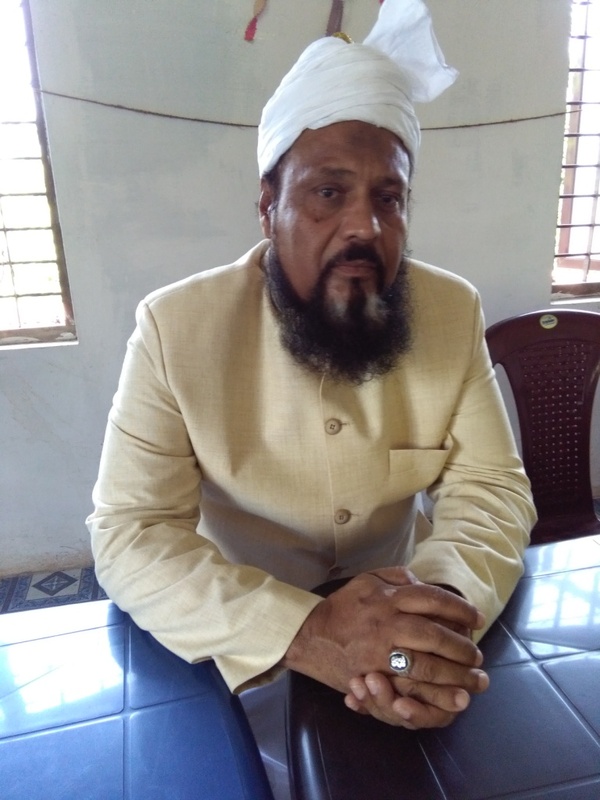 Village officials, public servants, civil society activists, writers and journalists were present on the occasion, and they applauded the works being done by Mukarram Amir Jamaluddin Saheb of Mathra in channeling his spiritual convictions towards humanitarian relief works and service to the people. 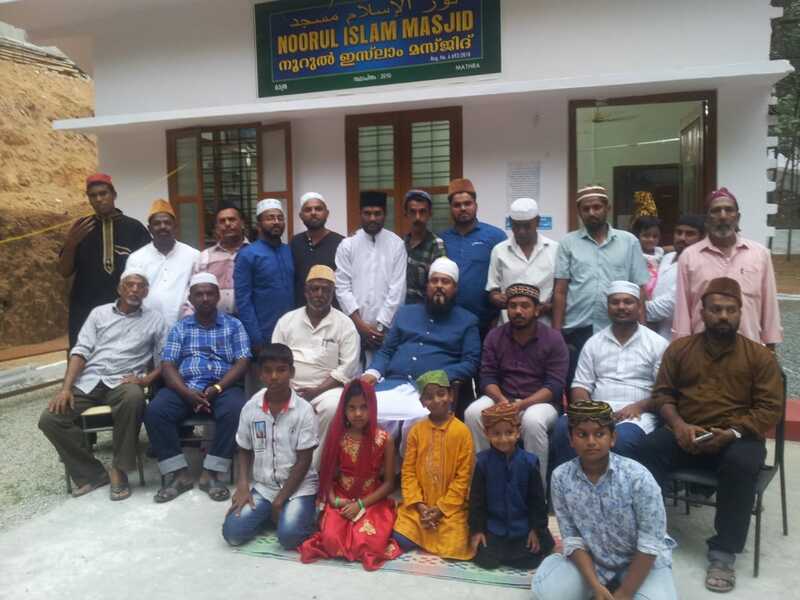 The event was widely covered in the local press, electronic media/television as well as YouTube channels in Kerala, and the comprehensive Blog report on the same shall be published later, Insha Allah. 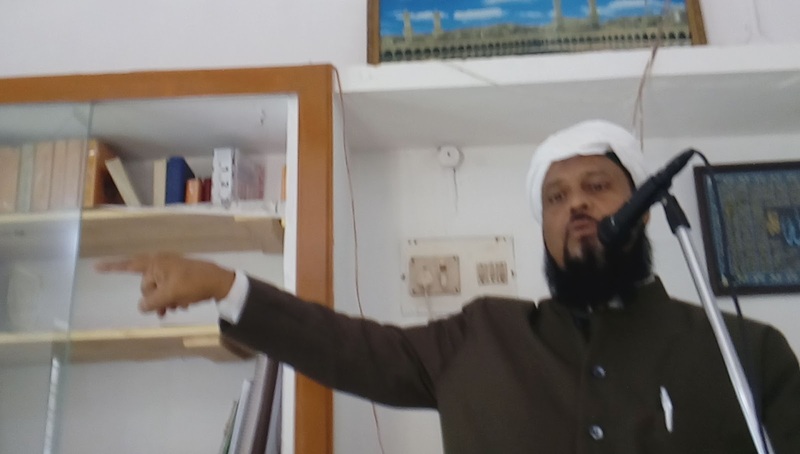 In a Special Address delivered on the occasion, Imam-Jamaat Ul Sahih Al Islam Hadhrat Muhyi-ud-Din Al Khalifatullah Munir Ahmad Azim Saheb (atba) of Mauritius pointed to the profound dangers facing our common humanity. Reflecting on recent catastrophic events and vast disruptions, Hadhrat Khalifatullah (atba) raised fundamental questions that require credible engagement by all those who are concerned about what is happening to our 'lonely' planet, the living Earth with all the profound challenges of atmospheric pollution, natural calamities; global warming and climate change. The obvious, and almost irreversible, imbalances that have been caused to the earth's stability and carrying capacity by the greed and corruption of the humans and their industrial and economic development models require a radical course correction, and that requires turning back to the ethical and spiritual way of life at the core of the teachings of Divine Elects in every era of humanity. 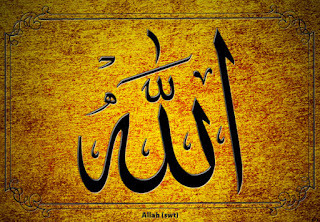 It is when mankind begins to worship the True Divine- and not their false gods of riches and selfishness-that it will be in a position to do true service to humanity in a spirit of solidarity, recognizing the values of common humanity amidst all the diversity, alludes to Hadhrat Khalifatullah (atba) in his subtle but profound message, Alhamdulillah, Soumma Alhamdulillah. May the Peace & Blessings of God Almighty be upon you all. The world in which we are living is in a deplorable state. Calamities of every kind are striking the earth from the sky, the sea and from within the land itself. The question is why all this is happening? Why so many calamities? Are these merely natural calamities or signs of the displeasure of God Almighty? 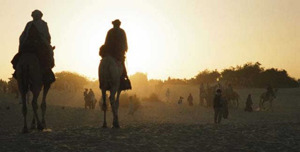 From an Islamic point of view, as established in the Holy Quran, God Almighty says: “Corruption has appeared on land and sea because of what the hands of men have earned, that He (Allah) may give them a taste of some of their deeds: in order that they may return (to righteousness).” (Chapter 30, Verse 42). 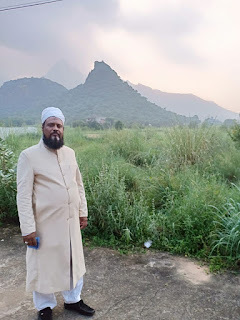 If we look all around us, especially here itself in Kerala which has recently, in August 2018, faced major floods and landslides, we see desolations and destructions of houses and roads and many people’s homes have been destroyed. More than 500,000 people have been displaced to refugee camps and over 500 people have lost their lives. Floods and landslides of such magnitude have not been witnessed since the great flood of 1924. There is no doubt that the Holy Prophet Muhammad (pbuh) is the last brick, perfecting the house of Deen (religion). He was indeed the one who perfected the construction by his advent (coming), for it is through Him that Allah has given us our religion, the final religion and perfected it for us by naming it ISLAM. This brings us to the meaning of a prophet. By way of meaning, a prophet is someone who receives news from the Unseen, i.e. from Allah through the Ruh’il Quddus. He does not see the future, but is informed about important things which shall happen in the future by the will of Allah. He cannot predict any future event without getting revelations from Allah informing him about it beforehand. Therefore, a prophet is one to make prophecies by Allah’s permission and he receives revelations from Allah. ‘Naba’ means news, true news of great importance. In the Arabic terminology, it is not used for any other normal news, like newspapers and media etc. It is used exclusively for such news which is of great importance, especially in the realm (field) of spirituality. And thus, ‘Nabi’ (i.e. prophet) means such a person who is truth-speaking who receives truthful news of great value from Allah (swt) and who conveys it to the people. Therefore, a prophet can bring with the command of Allah, law-bearing news and non-law-bearing ones. It is an appellation to qualify such person who receives from Allah revelations amidst the common people of his era, and who can attain to the proximity of Allah for the salvation of the Deen (religion). And when guidance comes to you from Me, whoever follows My guidance - there will be no fear concerning them, nor will they grieve. (Al-Baqara 2: 39). By the grace of Allah, it gives me great pleasure to address you all my disciples in Kottar (Tamil Nadu, India) today on “The Revival of Islam”. Since the creation of the heaven and earth and man, Allah has sent again and again over so many centuries His chosen servants who came with the Holy Spirit (Ruh’il Quddus) to bring back the people on the right path. Why did these chosen servants of Allah had to come? It is because, after the passage of time, Satan and his army deviate from time to time – to be precise, he keeps on trying to deviate – people from the path of Allah, and thus, Allah, to save the people from spiritual deaths, send to them His special people, messengers coming from Him, blessed with divine revelations and guidance and the power of prophecy to warn the people of the traps of Satan and to show them the right path. This right path is primarily the Tawheed, i.e. the Unicity of Allah and Taqwa, i.e. the fear of Allah. If the people establish themselves on Tawheed and have Taqwa, then the fear of the Satan and all his attractions will have no effect on them. More than 1400 years ago, addressing the doubting Makkan chieftains of his times, Holy Prophet Muhammad (sa) emphatically declared his Divinely-inspired spiritual Mission: "I want neither pelf nor power. 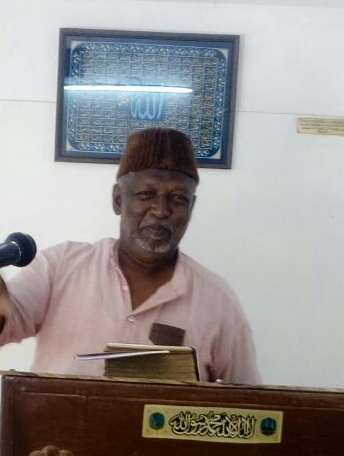 I have been commissioned by Allah as a Warner unto mankind, and deliver His message to you. Should you accept it, you shall have felicity in this life as well as in the life to come. Should you reject the word of Allah, surely Allah will decide between you and me." Through out history, the Holy Prophet's ringing words have been the signature tune of Islamic Messiahs and other Divine Elects; people who spoke with the help of Holy Spirit (Roohul Quddus) and were known by different spiritual titles. Like the Promised Messiah Hazrat Mirza Ghulam Ahmad (as) of Qadian (1835-1908 CE) in the previous era, Hazrat Munir Ahmad Azim Saheb (atba) of Mauritius in this era claims Divine revelations and messages as the authority behind his spiritual tiles and religious claims as the Imam, Caliph, Mujaddid and Messiah of this era. 06 December 2003. 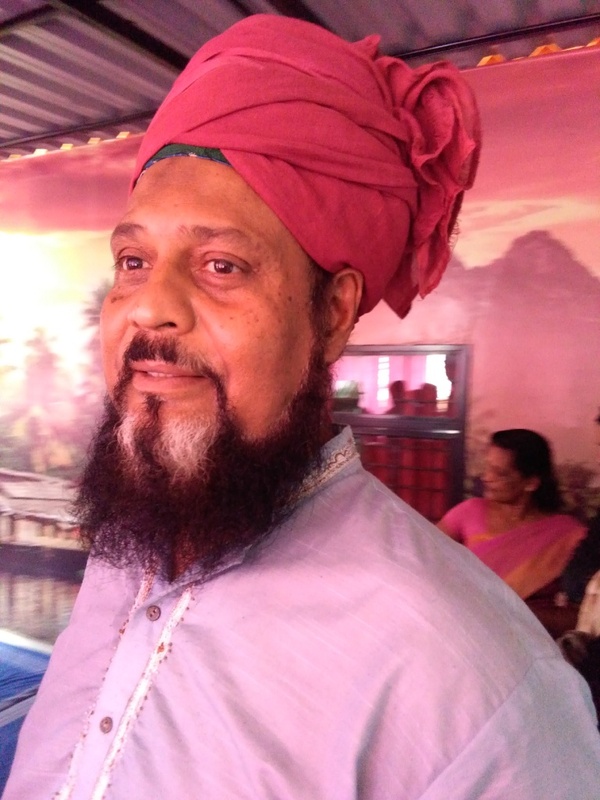 Almost 15 years ago, it was on this day that Hazrat Munir Ahmad Azim Saheb (atba) of Mauritius made his official proclamation as the Muhyi-ud-Din (Reviver of the Faith) and the Messiah of this era. The Speech is noteworthy on a number of grounds. 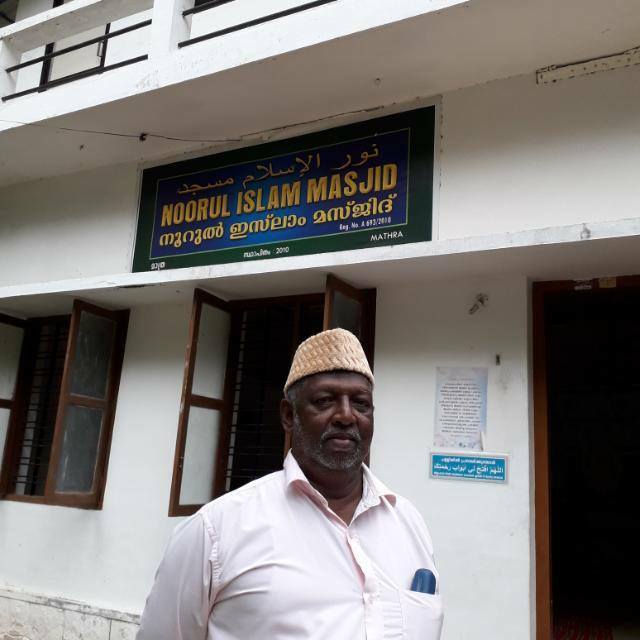 As the Founding Head of the Jamaat Ahmadiyya Al Mouslemeen, Hazrat Munir Azim Saheb (atba) explains the spiritual and material circumstances in which the Jamaat was founded as a distinct group of believers who follow all teachings of Islam. 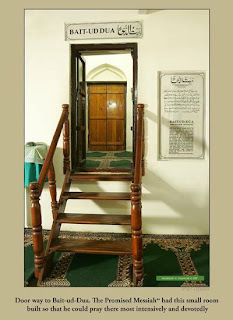 In this context, it is especially noteworthy for Ahmadis to understand that Hazrat Saheb (atba) scrupulously follows and revives the expositions on fundamental Islamic beliefs- teachings and prophecies concerning the appearance of a Divine Elect in every era of Islam- left behind by Hazrat Musleh Maoud Mirza Bashir-ud-Din Mahmud Ahmad (ra) (1889-1965 CE) in his writings. As a person Divinely-raised with a mandate for the renewal of the spiritual path among the Ahmadis of today, the larger mission of Hazrat Saheb (atba) is to propagate the true and living Islam among all of humanity. 15 years on, Hazrat Saheb's Divine Mission continues to strive with patience and constancy in the path of Allah (swt)- with more and more people recognizing the precious opportunity it represents for them to grow spiritually and to learn wisdom, Alhamdulillah, Soumma Alhamdulillah. Say, ‘O Allah, Owner of Sovereignty, You give sovereignty to whom You will and You take sovereignty away from whom You will. You honour whom You will and You humiliate whom You will. In Your hand is all good. Indeed, You have power over all things. (Al-Imran 3: 27). O you who believe! Persevere in patience and constancy; vie in such perseverance; strengthen each other; and fear Allah; that you may prosper. (Al-Imran 3:201). The Jamaat Ul Sahih Al Islam International has just published a new book in Malayalam, entitled ‘Boycott? Or, No Boycott?’. 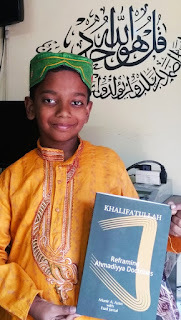 Originally written by Hadhrat Imam Muhyi-ud-Din Al Khalifatullah Munir Ahmad Azim Saheb (atba) of Mauritius, the present Malayalam translation is by Mukarram Amir Jamaluddin Raother Saheb of Mathra. 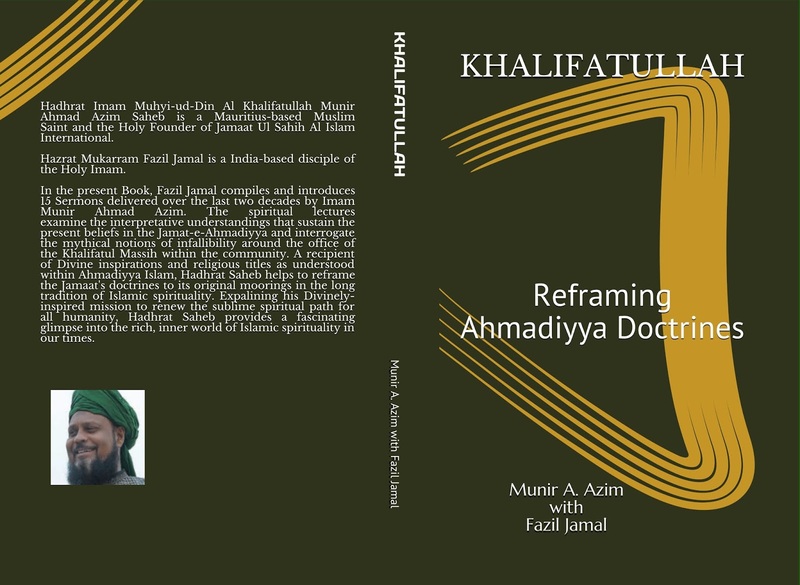 Written almost five years ago, the Book remains as relevant and topical as ever, discussing the official policy of of the Nizam-e-Jamaat-e-Ahmadiyya vis-a-vis the Divine Manifestation in Mauritius, especially the arrogant institutional decision by the Nizam-e-Jamaat leadership to socially boycott all those who believe or support Hadhrat Munir Saheb (atba) -a Muslim believer who claims he is a recipient of Divine messages in our times. 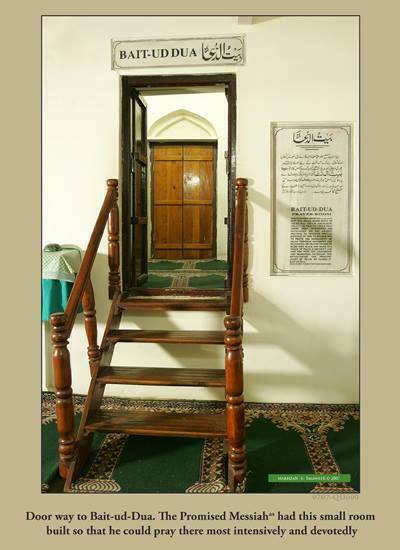 The Boycott Policy calls for profound spiritual reflections on the part of common Ahmadis as it touches upon, and has grave implications for, their foundational beliefs and personal convictions. 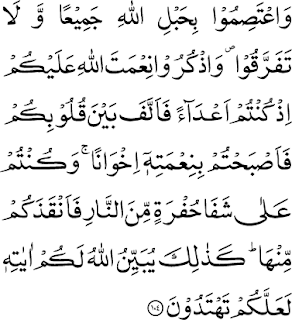 Do they plan to behave unjustly and arrogantly in the times of a Divine Elect among them? As the Jamaat-e-Ahmadiyya is premised on the continuity of Divine revelations within the Muslim Ummah in every era, it is astonishingly ironical to see how the Nizamis seek to dispute God’s messages in this era, with no authority to do so. How can they be so deluded when they can still read the Qur’an? “How can you expel a man just for saying, ‘My Lord is Allah,’? He has brought you clear signs from your Lord- if he is a liar, on his own head be it- and if he is truthful, then at least some of what he has threatened will happen to you. Allah does not guide any rebellious, outrageous liar. The present book entitled ‘Boycott? Or, No Boycott?’, written by Hadhrat Imam Muhyi-ud-Din Al Khalifatullah Munir Ahmad Azim Saheb (atba) of Mauritius in 2014, makes an important contribution to the debates around the anti-Islamic policy of “social boycott” being aggressively implemented by the Nizam-e-Jamaat-e-Ahmadiyya in recent times. 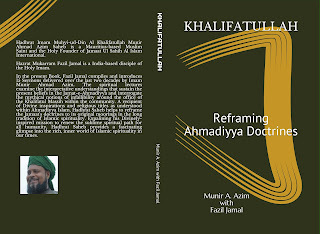 The profound forensic examination and clinical arguments of Hadhrat Khalifatullah (atba), unravelling the roots and branches of this anti-human policy of the Jamaat-e-Ahmadiyya, is compulsory reading for all Ahmadi Muslims who care about their foundational beliefs and the ‘directions’ of their Jamaat in recent times. “At this time, the purpose of my address is that since there can be no guarantee of one’s life, I feel that the number of people who are gathered around me now may perhaps not be with us in the following year. Moreover, during these days, I saw in a vision that in the coming year certain friends would no longer be with us, but I cannot say who of them was referred to in this vision. I am certain that this is because everyone individually ought to prepare himself for their journey to the afterlife. As I have just mentioned, no names were disclosed to me, but I know for certain by knowledge given to me from Allah the Exalted that divine destiny and decree has its time. All must leave this transient world at some point or other. And so, it is absolutely imperative to state that every individual and friend who is present now must not hear my words as though they were a storyteller’s tale. Rather, I counsel you from Allah and have been commissioned by Him. I address you with immense sympathy, true goodwill and with a burning heart. Hence, I call on my friends to heed my counsel. I reiterate that you ought to listen attentively and take my words to heart. 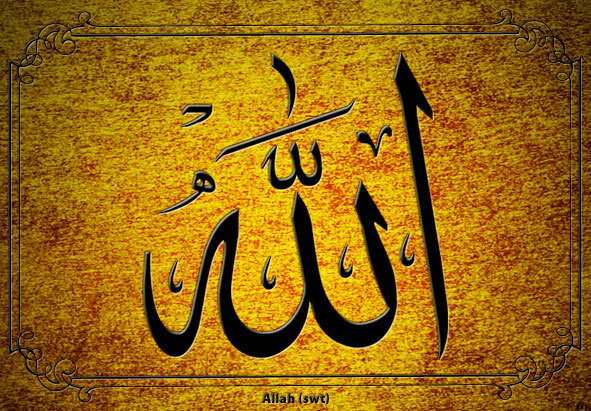 meaning, can there be doubt in the existence of Allah the Exalted, who is the Creator of the heaven and earth? Now reflect, is it not perfectly clear and obvious that a created thing leads one to accept the existence of a creator? When a person sees a well-crafted shoe or chest, they are left with no choice but to immediately accept the existence of its craftsman. In the same way it is inexplicably astonishing that there should be any room for denial in the existence of Allah Almighty. How can one reject the existence of a Maker who has created thousands of wonders with which the heaven and earth are replete? Hence, know for certain that a foolish person who doubts the Being and existence of God, even after observing these works and wonders of nature, which are beyond the power, mind or intellect of man to create, is an unfortunate person caught in the grip of Satan. Such a one ought to seek forgiveness from God. To reject the existence of God has no basis in argument or observation. In fact, to reject the existence of Allah, the Glorious, despite witnessing His powers, and the wonders of His creatures and creation at large, which fill the heaven and earth, is the height of blindness. There are two forms of blindness: the blindness of one’s eyes and the blindness of one’s heart. A person’s physical blindness does not affect his faith. But a blinded heart does affect a person’s faith. Hence, it is necessary and absolutely imperative that every single individual constantly beseeches Allah Almighty with humility and submission so that He may grant him true divine understanding, insight and vision, and so that He may protect him/her from the evil whisperings of Satan. We are Nothing Without Allah. Dear brothers and sisters of Islamic faith, my dear disciples, neither you nor I owe our existence to our own will. The vast universe and the many creatures it contains are the work of the one and only Creator, with a set of rules / laws for each species and creation. This Unique Creator is Allah. “And by the day as it appears in brightness; And by that which He has created, the male and the female; Certainly, your efforts and deeds are diverse (different in aims and purposes).” (Al-Layl 92: 3-5). Thus, it is clear that the man and the woman must fill their days and nights with various efforts for their survival on earth and therefore they will have to face the consequences of their actions on the Day of Judgment. “But as for one whose scales are light, His refuge will be an abyss. And what can make you know what that is? It is a Fire, intensely hot.” (Al-Qariah, 92: 9-12). Man and woman, in short the human race must fulfill their duty to its Creator, and the main duty is the exclusive worship of Allah (swt) and to make every effort to build their lives on the basis of Islam - complete submission to Allah - and to serve Him in all sincerity and piety. Allah says: “I did not create the jinn and mankind except to worship Me.” (Az-Zariyat, 51: 57). And in serving Him, he must also serve humanity because the essence of God is in every human being on earth.